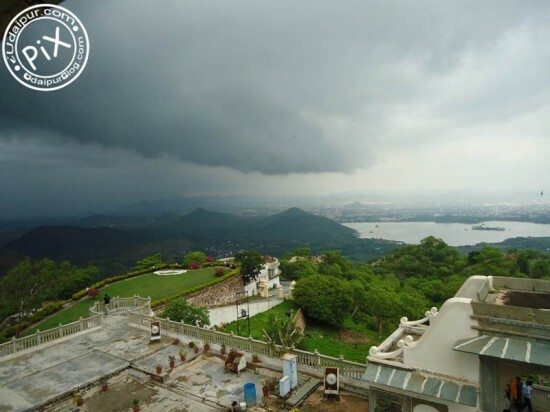 As we wait to get soaked in monsoon, how about visiting The Monsoon Palace today?? 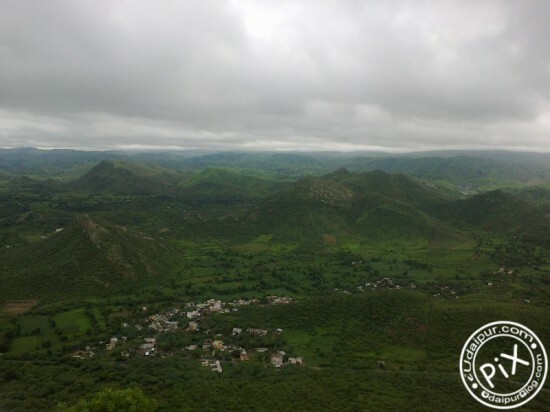 It is also named as Sajjangarh after Maharaja Sajjan Singh, a young Mewar ruler who built this fort in 1884 to study the monsoon clouds and later used it as hunting lodge. This Fort, perched at a peak Bansdora Mountain, enchants every eye with the view it offers of lush green Aravalli Hills and blue waters of Lake Pichola. 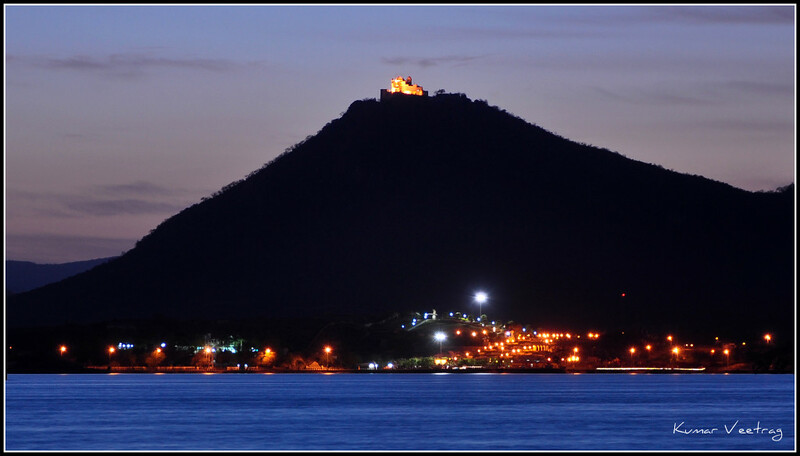 When you look at the “Sajjangarh Fort” from the city, it creates an impression of the king’s palace about which we have heard or read in fairy tales; standing at a height of 944m above the sea level and circled by forest and mountain from all around. The road up the hill to the fort twists and turns like a drunken man and driving on it is a sort of mini adventure in itself. Standing in the courtyard of the fort, you will feel the strong wind engulfing your mind and soul with its power and dynamism. 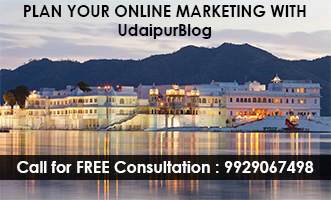 Capture the scenic beauty of our own Udaipur and its lakes from the fort and you will once again fall in love with its allure. When the sky gets painted in orange and yellow hue at the time of sunset, then for a minute your eyes won’t blink and the colors won’t leave your mind for a couple of days. Surrounding the fort is a forest blessed with rich flora and fauna. Earlier it was a hunting ground for Maharanas, but later, in 1987, the Forest Department of Government of Rajasthan made it “Sajjangarh Wildlife Sanctuary”. It is a reserve for many wild animals like Chital, Wild boar, Sambar, Panther, Hare, Jackal, Blue Bull, etc. You can also see a wide variety of reptiles and hear the melodious chirps of lovely birds. If you are an adventure freak then you can also trek from Gorilla viewpoint to the Bari Lake where you get another chance to capture the beauty of Aravalli ranges and enjoy the thrill of wildlife diversity of the area. There is a small perennial source of water, “The Jhar Water Hole”, on the western side of Hill. Numerous Mahua trees encircling it provide an amazing place to sit and enjoy the calmness and placidity of the place. A small temple of Lord Shiva situated close to it adds to its serenity. 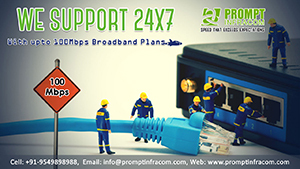 If you want to add one more flavor in the weekend, then a drive around FS or a few minutes at its Pal will do the needful. At the end of the day, dinner at a restaurant while recollecting all those moments that left you awestruck will make a perfect ending of a perfect day.